Hi there, CEO Olivia here. Halloween is just around the corner & in my house that means there will be purple pumpkins. That’s because we are once again participating in the annual Purple Pumpkin Project. 1 in 26 Americans will be diagnosed with Epilepsy at some point in their life. 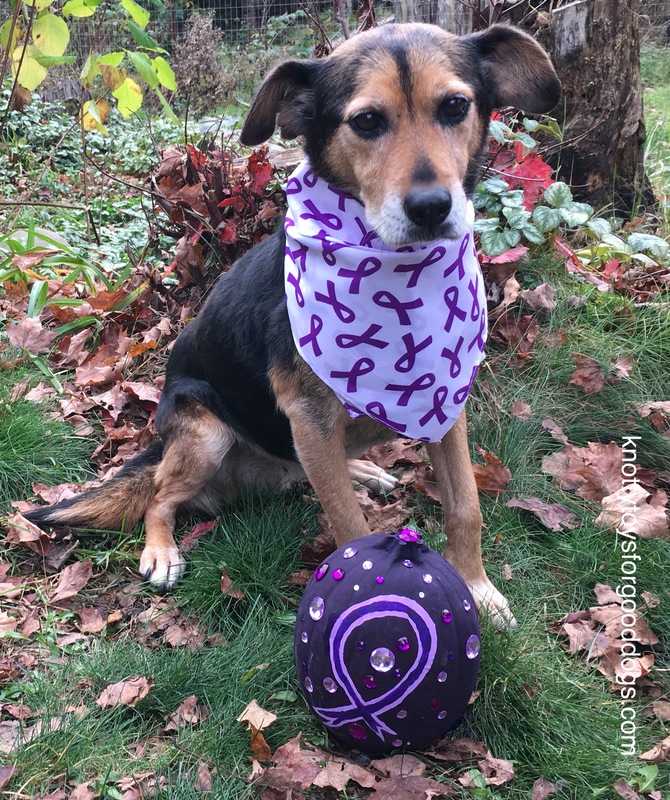 Epilepsy is also one of the most common neurological diseases in dogs, some studies estimate up to 4% of all dogs are affected. I myself was diagnosed with canine idiopathic epilepsy before my 1st birthday. This Halloween, on the eve of Epilepsy Awareness Month, join us & turn one of your pumpkins purple & encourage others to do the same. 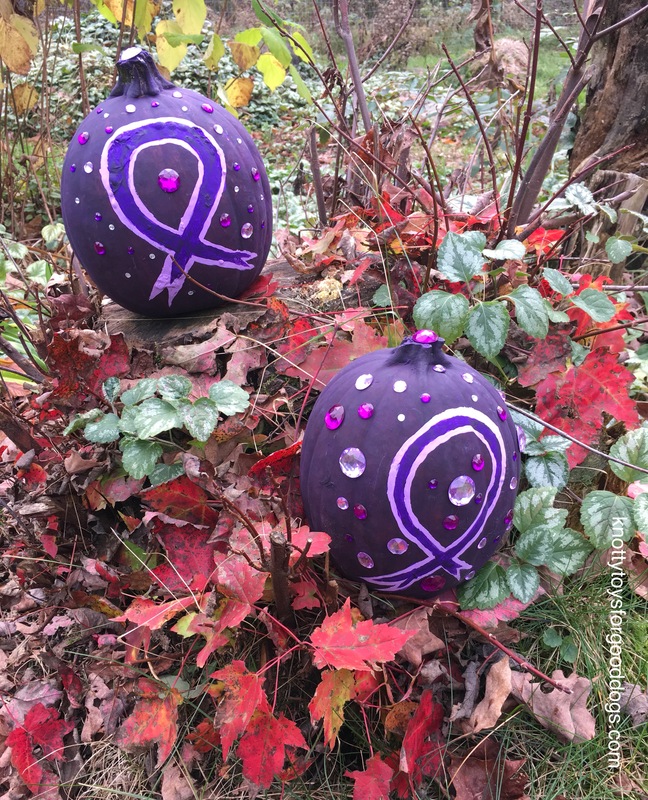 If you have a purple pumpkin please share a picture with us. Send it to knottytoys4gooddogs@gmail.com or simply post it to our Facebook page. Love your purple pumpkins! They look amazing. 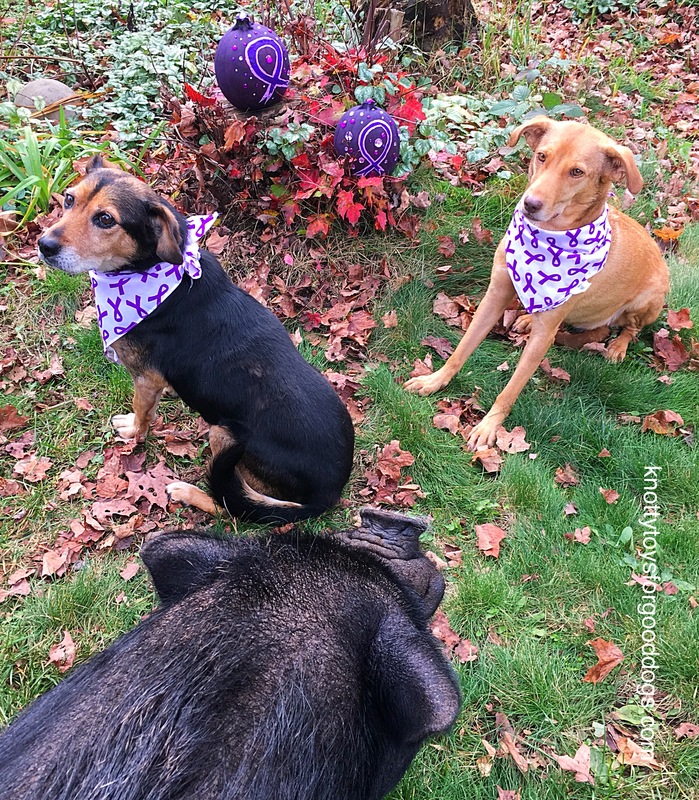 💜 Elsa be donning her purple bandana to commemorate this impawtant month. 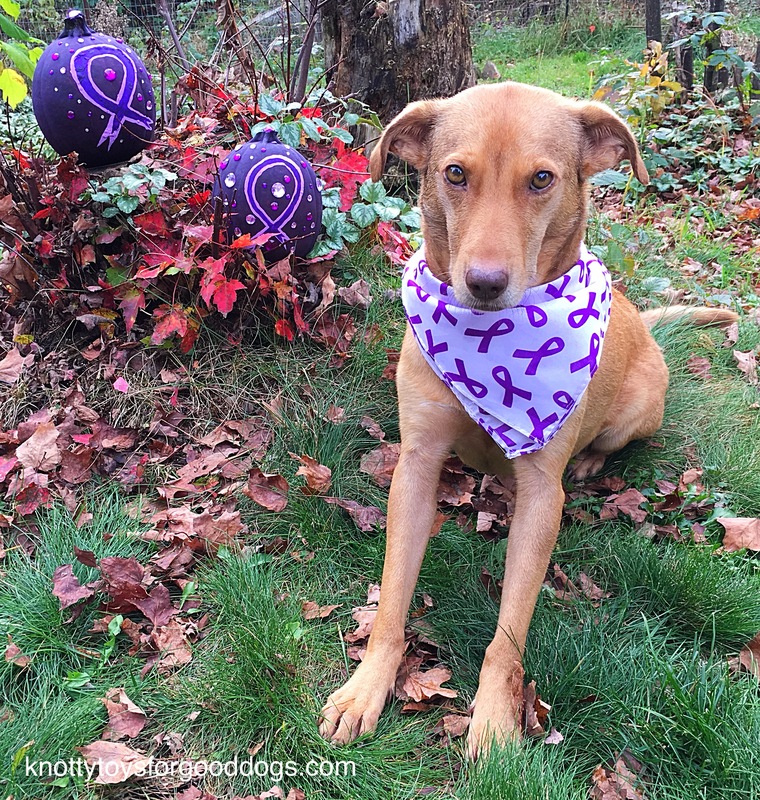 Elsa will look absolutely pawfect in her purple bandana; can’t wait to see a pic.